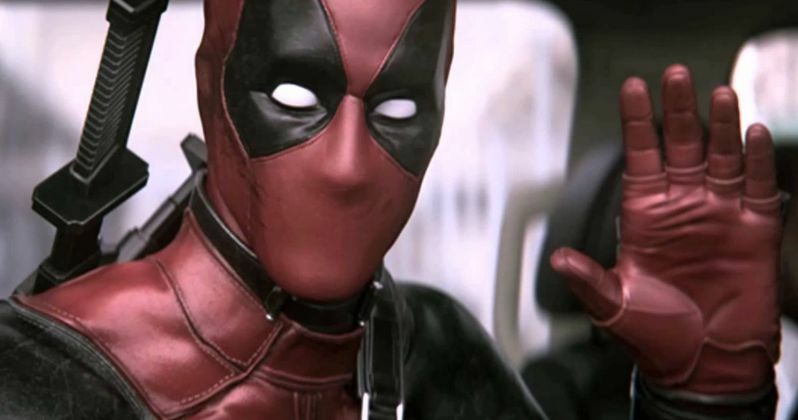 Did Ryan Reynolds Leak the Deadpool Test Footage? If you've been following the long and twisting road Deadpool took to land in theaters this Friday, then you surely know that the only reason it got a green light at 20th Century Fox is because of leaked test footage that showed off one of the movie's key action sequences. While the mostly CGI'd viral video was a big step in getting the movie made, no one associated with it will reveal who actually leaked the footage. Ryan Reynolds has long stated that he had nothing to do with it. But now he's changing his stance. Deadpool is poised to have a gargantuan box office weekend. And it might even become the highest February opening in history, along with the biggest opening for an R rated movie ever. But in the early days, Fox just wasn't so sure about an extremely graphic and violent superhero movie. Especially after X-Men Origins: Wolverine tarnished the Marvel character's prowess on the big screen. That all changed once studio executives saw how fans responded to the test footage, which shows Wade Wilson suiting up to take out a couple of bad guys on a bridge. Deadpool has quite literally been in development for nearly 11 years. And without that test footage, it would probably still be lingering in development hell. But to this day, no one associated with the project will reveal who is responsible for the leak. On last night's The Tonight Show Starring Jimmy Fallon, star Ryan Reynolds finally admitted that he does know exactly who leaked the footage. And he hints that he may actually be the one responsible. But he doesn't come right out and say it. He's pretty sure it wasn't him, but then again, maybe it was. "I know that one of us did it. There's four of us: me, Rhett Reese, Paul Wernick, and Tim Miller the director. We all said at the beginning that someone should leak it, so the idea was planted, but I'm 70 percent sure it wasn't me. So there is a 30% chance that Ryan Reynolds leaked the test footage. From the sounds of it, it was probably a group effort, but we may never know, as the action was highly illegal. At this point in the game, with Deadpool projected to take, at the very least, $60 million during it's opening weekend, it's doubtful that Fox would file a lawsuit against the culprit. But you never know. The leaker will have to be revealed at some point. But perhaps it won't be until Reynolds is lying on his death bed, whispering the name as quietly as Orson Welles leaked the word 'Rosebud' at the end of Citizen Kane. With Deadpool finally in theaters this weekend, earning raves from critics nationwide, does it really matter who leaked the footage? Especially since Deadpool 2 just got the green light?